Democracy Summer Maryland: Mobilizing the Future! The Democracy Summer Maryland project seeks to bring about sweeping political change and advance social and economic justice in America by educating, training and deploying the next generation of organizers to win elections at every level. The Democracy Summer 2019 application is here! APPLY HERE by Sun 4/21! Note: We have weekend activities and events on many weekend days. Attending several of these events is essential for the full Democracy Summer experience. To apply for a Senior Fellow position, for those who want to help run the program and train other students, use this application! If you are interested in what Democracy Summer projects in other locations did in 2018, further information can be obtained from www.DemocracySummerPAC.com. More information about opportunities to be involved in a Democracy Summer program outside Maryland in 2019 are forthcoming. Our office is at 8700 Georgia Ave Suite 401, Silver Spring, MD 20910. Please do not send campaign mail to our office at 8700 Georgia. If you want to send the campaign mail, please send it instead to P.O. Box 5418 Takoma Park, MD 20913. Parking is available near our office at the Cameron Street Garage ($0.70/hr 7 AM-7 PM Mon-Fri). There is also limited one hour metered street parking. Camilla Duke is an alumna of Democracy Summer and the regional co-director of Democracy Summer 2018 in Maryland. 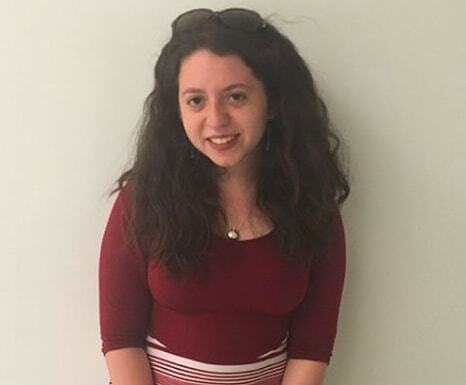 Previously, she worked as an intern for the Jamie Raskin for Congress campaign and a Senior Fellow for Democracy Summer 2017. 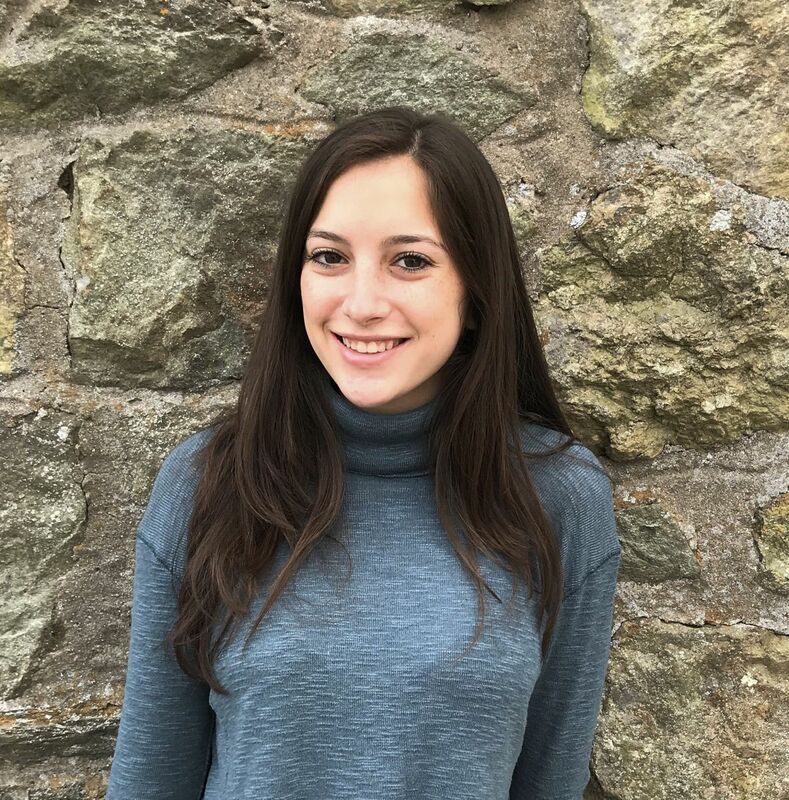 A native of Bethesda, Maryland, Camilla now studies International Relations and History at the University of St Andrews, and she calls both Scotland and Maryland home. 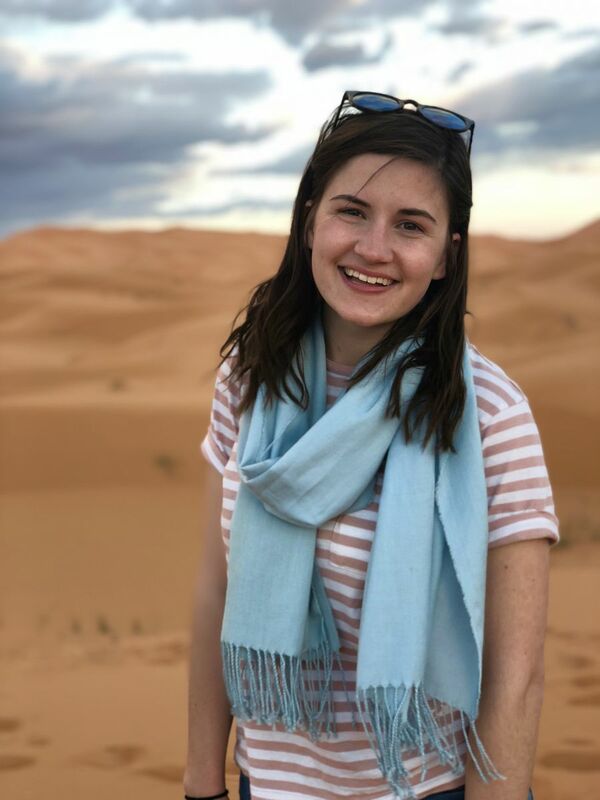 She currently serves as the Vice President of the St Andrews chapter of Democrats Overseas, and has been active in campaigns for student representation, women in politics, and sexual assault awareness. When she's not at Democracy Summer fighting for the Big Blue Wave, Camilla spends her free time cheering on her beloved Washington Capitals and reading. Paul B. Ellis is the Regional Co-Director of Democracy Summer Maryland. He is an alumnus of Democracy Summer dating back to Summer 2015 during the primary election campaign. He returned as an intern in Summer 2016, and was a program associate in Summer 2017. He is from Silver Spring, and graduated in May 2018 from The Ohio State University with a B.S. in Evolution and Ecology and a minor in Political Science. While at Ohio State, he served as the Political Director of the College Democrats at Ohio State. While not politicking, Paul enjoys a panoply of trivia competitions, quoting Seinfeld, and writing parody song lyrics. He also enjoys cultivating plants and identifying different plant species. Daniel Gelillo is a Democracy Summer 2017 alumni and a Senior Fellow of the Democracy Summer Maryland 2018 project. He is a recent graduate from Richard Montgomery High School in Rockville, Maryland. 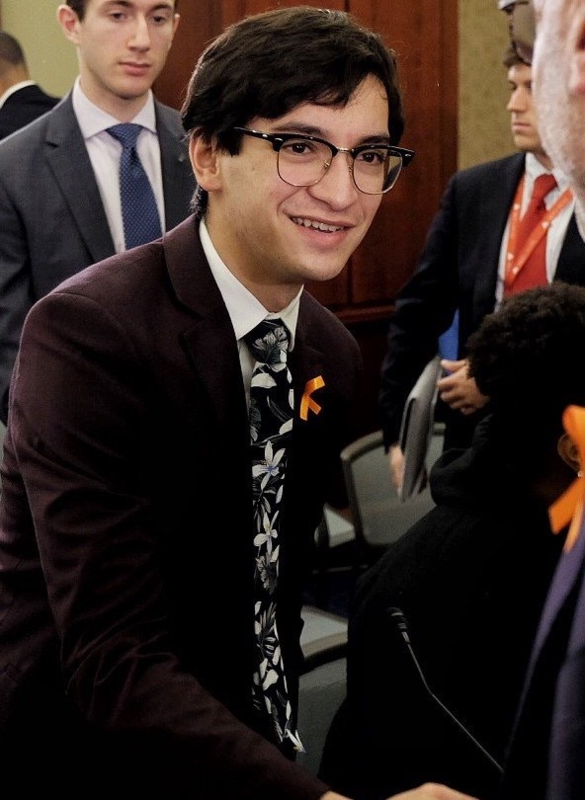 His recent work as a student activist for commonsense gun safety after the Parkland, Florida, high school shooting gained national media attention. Daniel has appeared on MSNBC multiple times to discuss his student activism and has been quoted in the Washington Post. He will be attending American University in Washington, D.C. in the fall and plans to study political science. Please note this application period closed Monday, May 14th at 5pm! Both Sessions are at capacity. 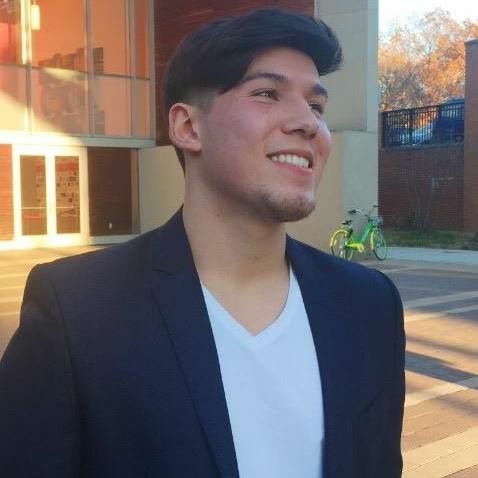 Alejandro Arias is a rising junior at the University of Maryland. He is majoring in International Relations with a concentration in East Asia Policy. 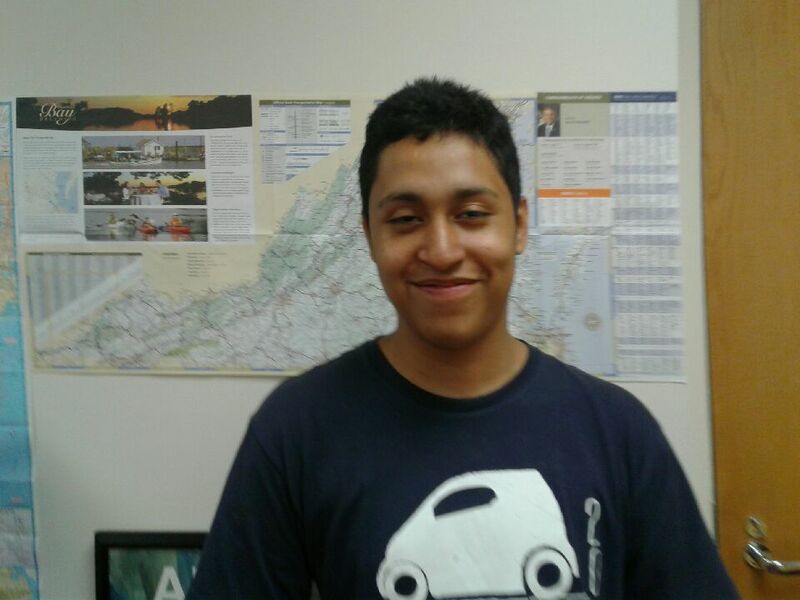 When he's not busy with Democracy Summer activities, Alejandro enjoys playing tennis, chess, and basketball. 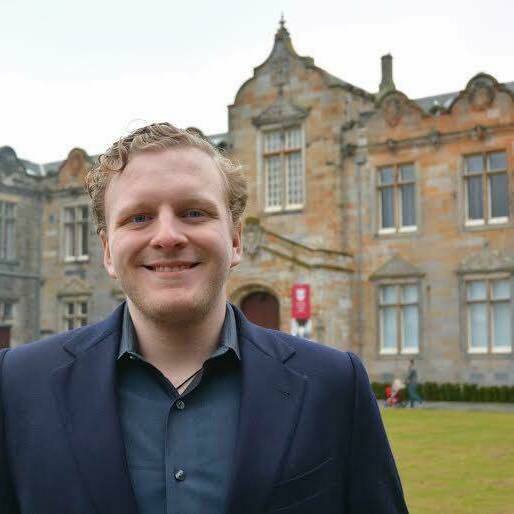 Asa Andrews is a fourth-year student studying International Relations at the University of St. Andrews. Born in St. Charles, IL, Asa’s interest in politics was first sparked at university through his involvement in the university’s Democrats Overseas Society. Through his life, Asa has been cursed by tribal spirits, shot in the face with an arrow, and cycled down the tallest road in the world in the Himalayas on a mountain bike with broken brakes. Julia Bruce is a student at the University of Virginia, where she is studying Economics and Foreign Affairs. She is a native of Oakton, Virginia. In her free time, Julie enjoys traveling, watching sports, and photography. The Democracy Summer Fellowship is Julia's first experience in politics, and she is excited to continue working in this field. Mati Cano is a rising sophomore at Tufts University where he studies Political Science. He grew up in Washington D.C. and graduated from Woodrow Wilson High School. One day, Mati wants to be the President of the United States. Cano can 2048. 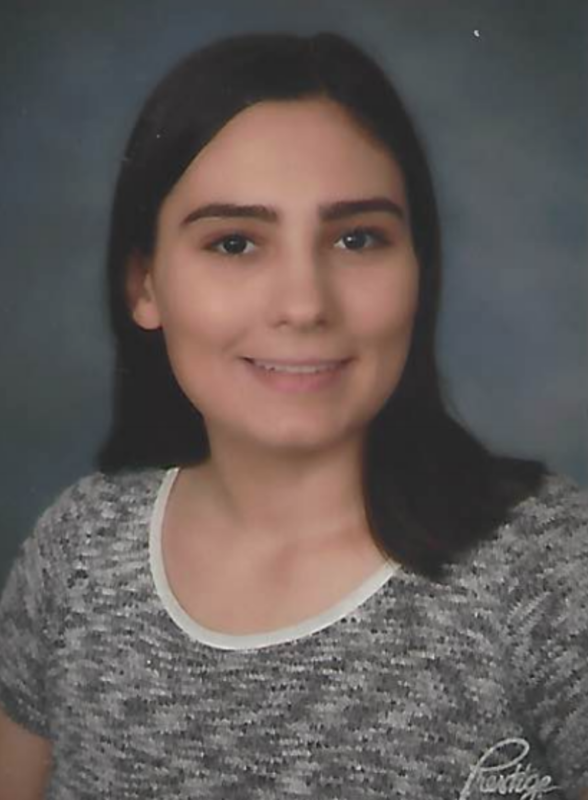 Sophie Ehrlich is a rising sophomore at Boston University majoring in Social Studies Education and Political Science. Originally from Rockville, MD, she has worked on campaigns in both Maryland and Massachusetts. In her free time, she enjoys binge-watching TV, tap dancing, and collecting fun socks! Ellena Erskine is a top caller at Democracy Summer. Raised in Silver Spring, MD, she now studies English and Latin American History at Smith College. She's excited for senior year! 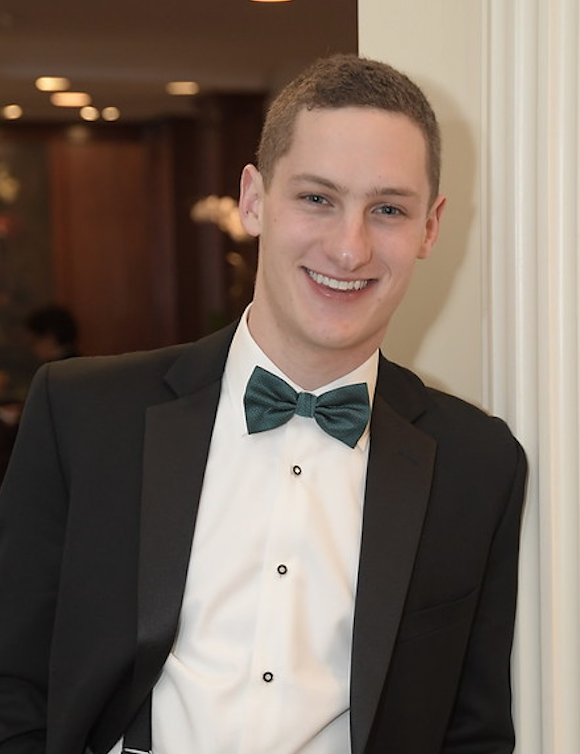 Jacob Fortinsky is a rising sophomore at Harvard University where he is studying Social Studies and Economics. He is from Westchester, NY, and spent a year living in Jerusalem, Israel. He is interested in criminal justice reform, Middle Eastern geopolitics, and the Supreme Court. Jacob likes to play basketball, follow Boston sports, and read about race, religion, and history. 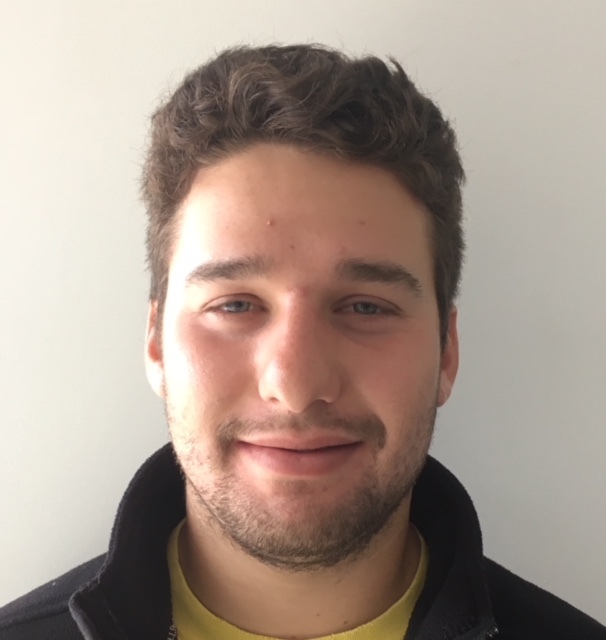 Wyatt Fritz hails from Bethesda, Maryland, and is currently enrolled as a rising Junior at Colby College in upstate Maine. He is majoring in Government and minoring in Anthropology and Environmental Studies. He is deeply interested in policy relating to the environment and education. Wyatt enjoys swimming and is a member of Colby's varsity swim team. He also gives swim lessons to kids in the Waterville area around his school. 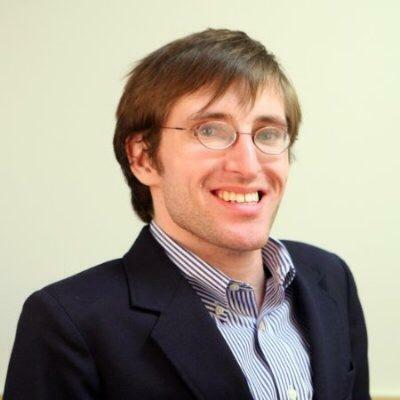 Ben Gersch is a student at Washington University in St. Louis where he studies history and writing. He is interested in foreign affairs, civil rights, and education policy. In his free time, Ben likes to run and play board games for ages six and up. 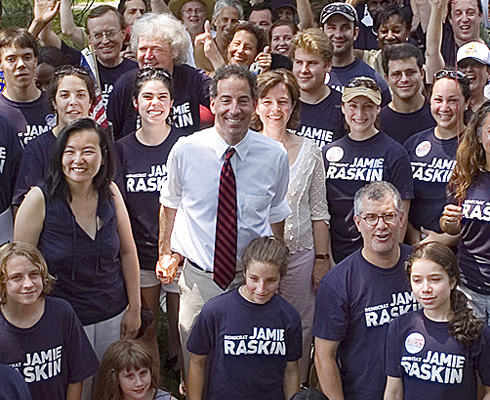 He is from Bethesda, which is located in Maryland’s 8th Congressional District. Malaaz Ghandour is originally from Houston, TX. 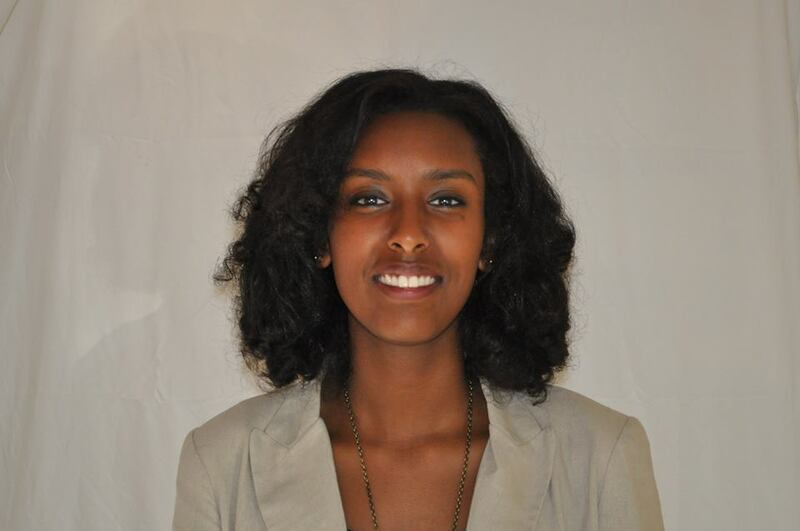 She is a rising senior at Harvard College studying Government with a secondary in African Studies. She is interested in grassroots activism that is “by the people, for the people.” There is plenty of injustice in the world. She knows that she cannot solve all of the world's problems, but she would like to be part of the solution with members of any community to end injustice in any way possible. A fun fact about Malaaz is that she can never come up with an interesting fun fact. Sina Ghobadi is a graduate of Michigan State University and an incoming student at the University of Miami School of Law. His political interests include topics of immigration, foreign policy and the economy. Sina's fun fact is that he is a first-generation immigrant from Iran. Sina is a resident of Bethesda, Maryland. Matt Golden is a senior at GW studying Psychology. He is a hard worker who firmly believes in the progressive tradition, especially in terms of social and economic justice. He stands, strives, and works for equality. Social, economic, and political equality are bedrock principles with which he views the world. Matt became a Democracy Summer Fellow in order to contribute the furtherance of his progressive, merciful, and inclusive vision. Carly Grand is a rising Sophomore at Tulane University where she studies Political Science and Social Policy & Practice. She grew up in Arlington, Virginia, where she was a student activist for people with Intellectual and Developmental Disabilities. Outside of Democracy Summer, Carly enjoys dancing and spending time with friends and family. Jesse Greer is a recent graduate of Earlham College where he studied education economics. Jesse is interested in education and health care reform. He is a former competitive chess player and teacher. Megan Griffin-Shelley grew up in the suburbs of Philadelphia. She graduated from American University with a BA in Psychology and is continuing her graduate education in AU’s MAT program for Secondary Education. She is a huge ice hockey fan and has seen every episode of NCIS. The political issues she is passionate about include ending gerrymandering, restoring voting rights to former felons, getting corporate money out of politics, stopping voter suppression, enacting Medicare-for-All, and reforming our broken criminal justice system. Lucas Intrater was born and raised in Silver Spring, Maryland and attended Einstein High School. He currently attends the University of Maryland, College Park as a Government and Politics major. He is interested in topics concerning healthcare, wealth and income equality, and social justice. He is a dedicated fan of the Washington football team. 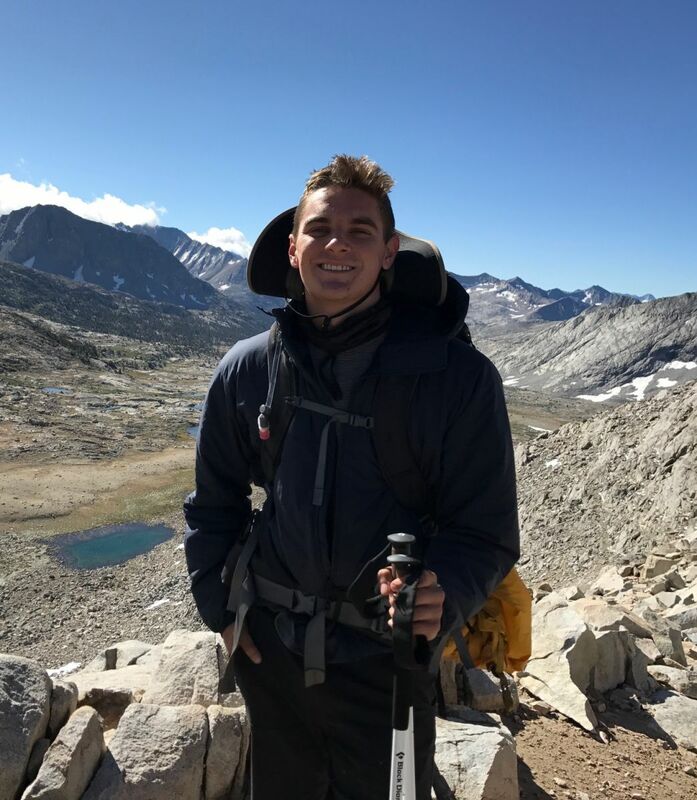 Andrew Isaac is currently a junior at the University of California, Davis and majoring in Community and Regional Development. 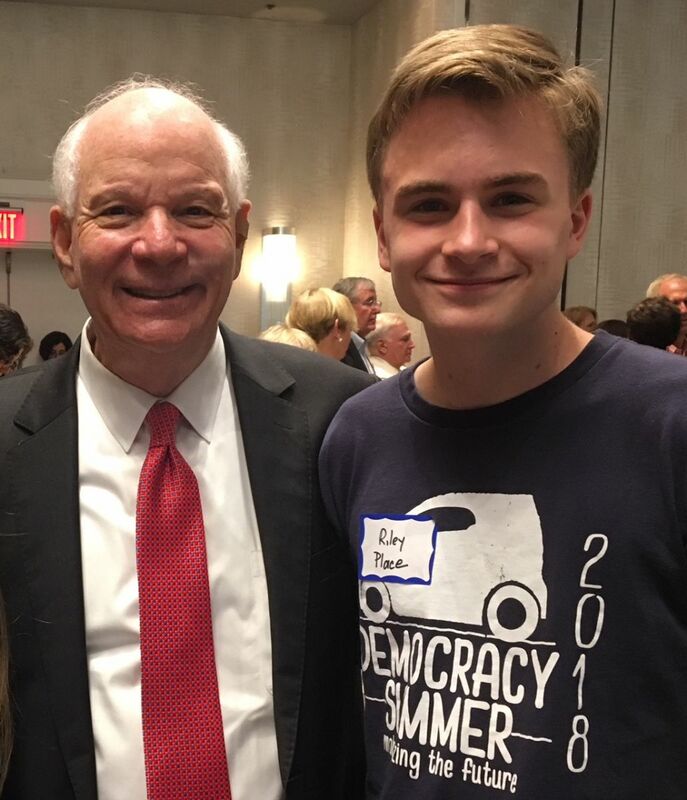 Although living in Los Angles, California, he is excited to intern for Democracy Summer in the DMV area over the summer and learn more about grassroots organization practices. Andrew believes the Democracy Summer program will better help him understand how the political process works at the local, state, and federal level. Margaret "Meg" Jackman is a top caller at Democracy Summer. She is a native of Kensington, Maryland. Meg is a Peace and Conflict Studies major at Colgate University and enjoys her role as Vice President of College Democrats on campus. In addition to being a Democracy Summer Fellow, she is passionate about criminal justice reform and women’s rights. 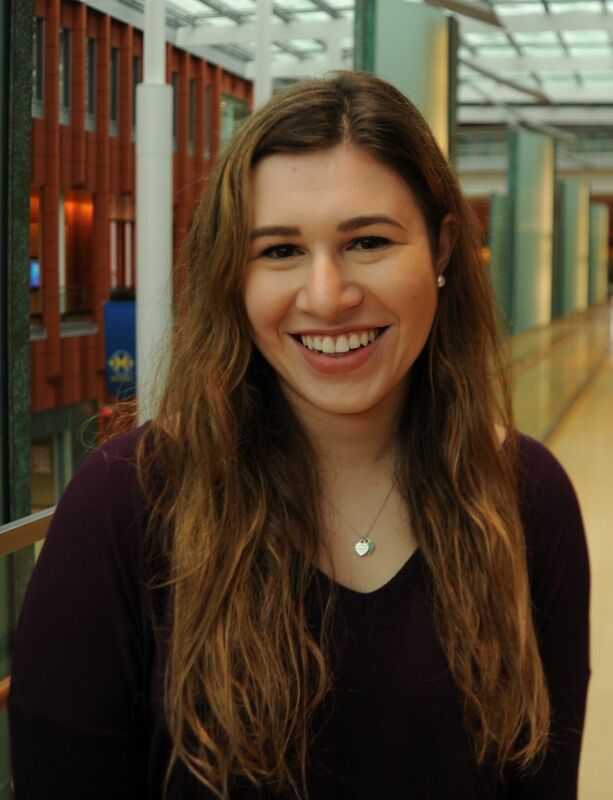 Mara Kaplan is a rising junior at The University of Michigan where she is studying Political Science and History. She hails from Potomac, MD, and is an avid Washington sports fan, go Caps! Within politics she is specifically interested in reproductive rights and education. Outside of Democracy Summer she spends her time coaching swimming and spending time with her puppy, Jax. 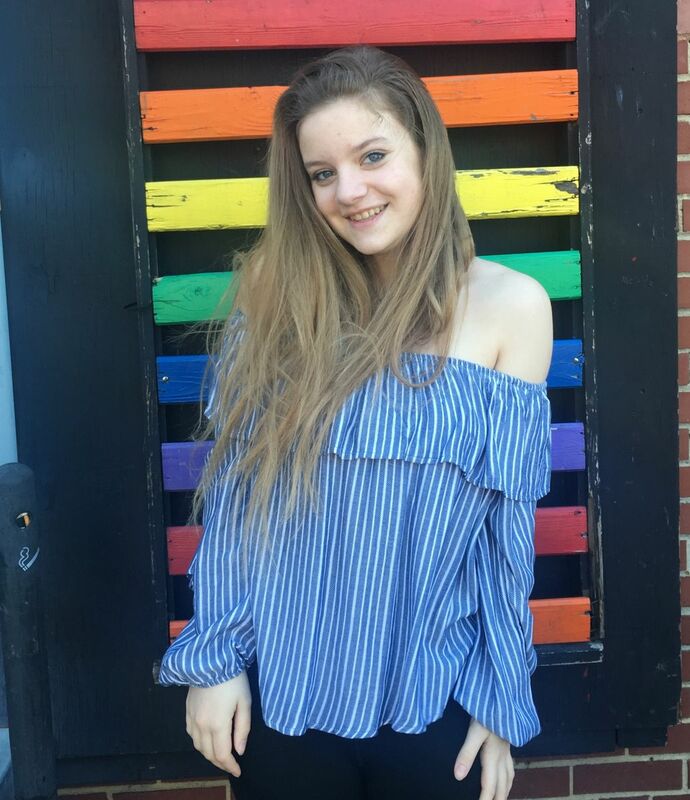 Zoe Kaufmann is a rising senior at Walt Whitman High School in Bethesda, MD. 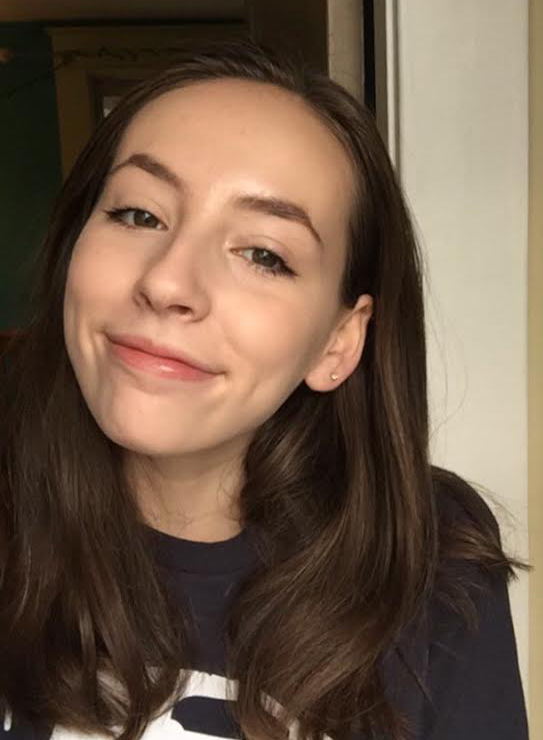 She’s passionate about social justice and economic equality and hopes to study the intersection of peace, political science, and philosophy (or English Lit) in college. She spends her free time collecting vinyl records, writing, and debating. 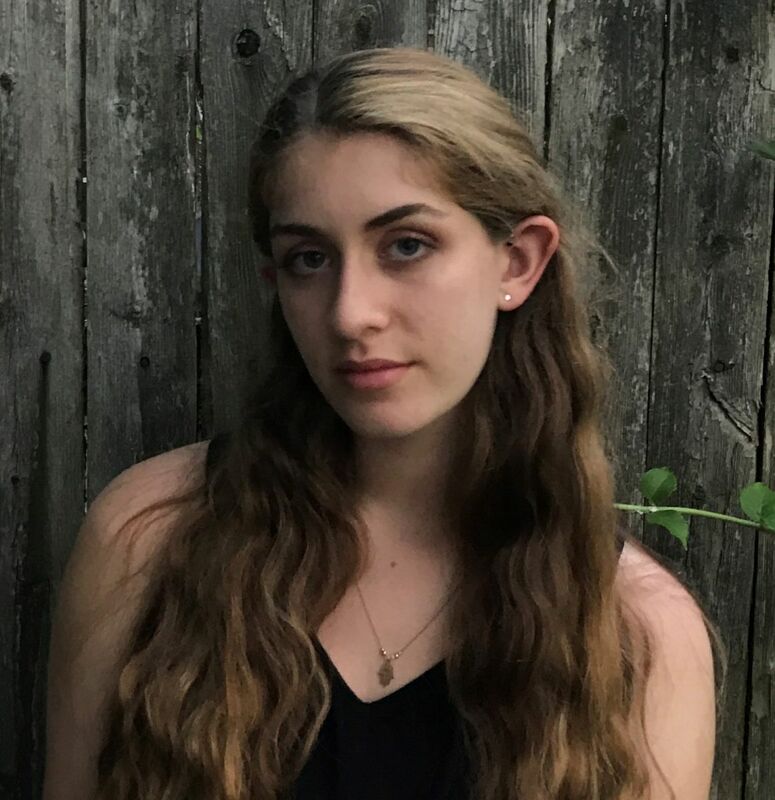 Evie Kraner is a rising sophomore at Tulane University, where she is studying International Relations and Homeland Security. She is particularly interested in criminal and social justice. Outside of Democracy Summer, she enjoys playing soccer and swimming. Max Kronstadt is a junior at Colorado College where he majors in Political Science. He was born and raised in Silver Spring, MD and spent four formative years at Montgomery Blair High School. He’s in favor of voting rights and dogs, but not dog enfranchisement. He takes no prisoners when it comes to tying his shoes. Aidan Lambiotte is a student in the Communications Arts Program at Montgomery Blair High School. Although he is interested in all kinds of politics, he is most intrigued by the political realms of gun control, foreign policy, and economic policy. Aidan is a Takoma Park, Maryland native. In addition to being a Democracy Summer Fellow, he also enjoys drawing and playing the violin. Josué is a native of Riverdale in Prince George’s County, Maryland. He later moved to Silver Spring in Montgomery County, Maryland, where he currently resides. His parents are immigrants from Honduras and El Salvador. 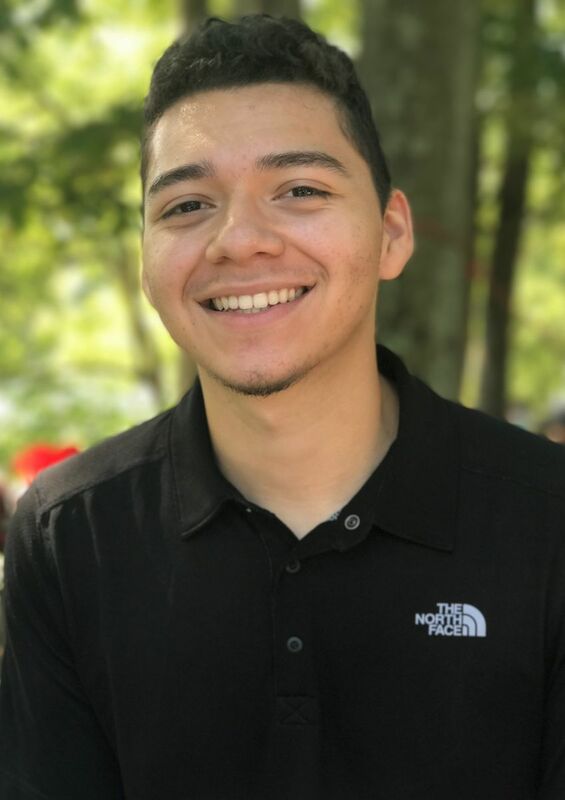 Josué is interested in Human Rights and Prison Reform especially in the Baltimore, Maryland area. A fun fact about Josue is that he enjoys anything Mango flavored but has not once ate a single mango. Cameron Leonard, from Rockville, Maryland, is a student at McGill University in Montréal studying Political Science and Theatre. A self-proclaimed Shakespeare Nerd, Cameron has performed in five different Shakespeare plays and is very interested in the intersections of art and advocacy. She is also a passionate advocate of progressive policies such as gun safety, voting rights and campaign finance reform and is excited to be part of Democracy Summer this year. Olivia Lewis is originally from Silver Spring, Maryland. She is a rising junior at Wellesley College in Massachussets, where she studies East Asian Studies and Economics. Olivial supports immigration advocacy and has interned for two summers with the Capital Area Immigrants' Rights Coalition in D.C. In her free time, she enjoys cooking, swimming, and learning foreign languages. Jackson Luck is a native of Potomac, Maryland. He is a sophomore at Boston College and is transferring to Georgetown University to study Political Economy in Washington, D.C. He is also interested in education policy. When he's not busy with Democracy Summer, Jackson enjoys playing basketball, lacrosse and piano. 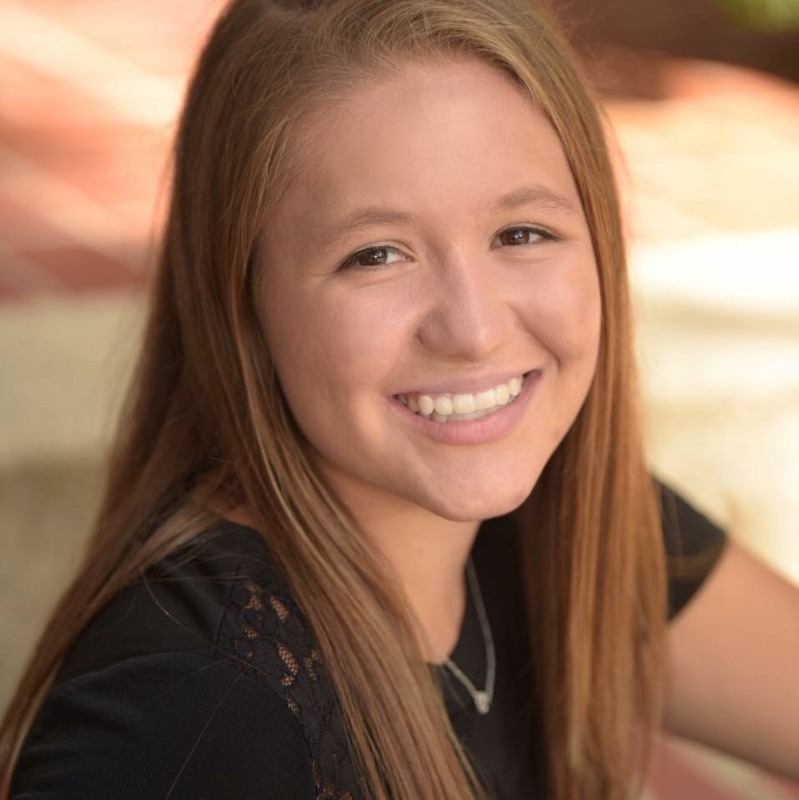 Perrin is a rising senior at the Madeira School in Virginia. She got involved in politics after the 2016 election. She is passionate about social justice and criminal justice reform and sees politics as the best way to advocate for the issues she cares about. Perrin is interested in political communications and hopes to work on Capitol Hill someday. She is excited about Democracy Summer because she’s learning new practical skills for advancing social change. Rowan Mohan is a rising junior at Walt Whitman High School. When she's not busy with school work, she works as the Whitman Drama sound director and is involved in Whitman student government. She loves meeting new people and believes that policy is the most direct and impactful way to help people, which is why she joined Democracy Summer. Gabi Morris-Flores grew up in North Bethesda, MD, and currently studies Political Science at Skidmore College in upstate New York. She is interested in immigration reform and hopes to pursue this field in the Jesuit Volunteer Corps. In her free time, she loves playing flute and being a music nerd. 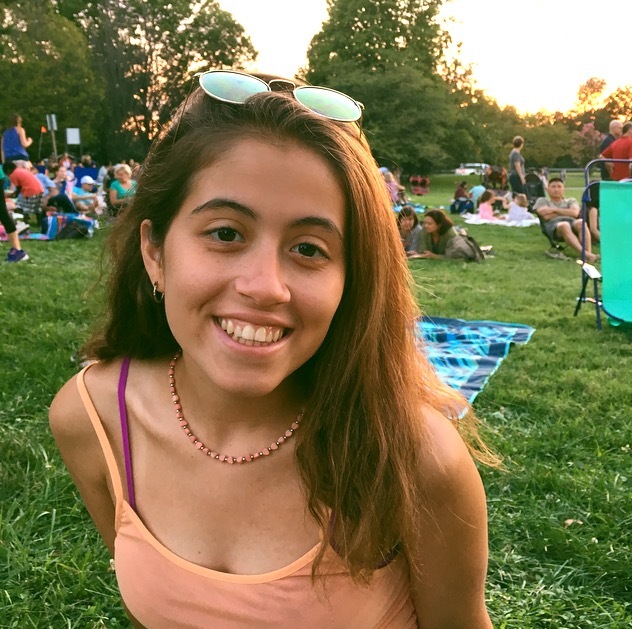 Gabi is looking forward to bringing her grassroots organizing skills from Democracy Summer back to Skidmore in the fall. 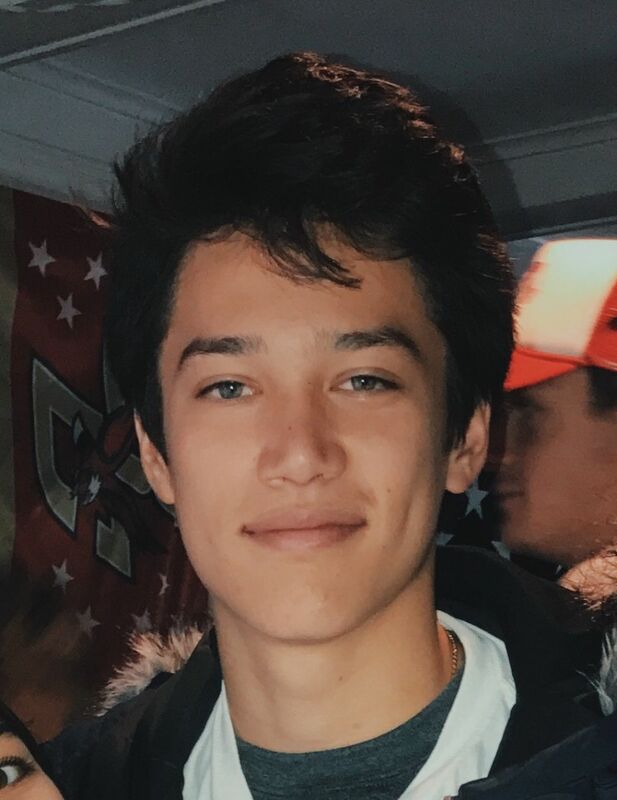 Sina Nemazi is a rising Sophomore at Georgetown University. He currently studies Government and Economics. When he's not busy with school, he loves to play soccer. Sina's family is from Iran. He wants to study constitutional law. His aspiration in life is to run for public office in order to serve others and bring prosperity to communities living under poverty and experiencing injustice. Alex Newman lives in Silver Spring, Maryland. He is a student at Washington University in St. Louis, where he studies political science. Alex likes state and city flags, and his favorite museum in Washington, D.C. is the Freer and Sackler Galleries. Dhruv Pai is a rising freshman in the Science, Mathematics, and Computer Science Program at the Montgomery Blair High School in Silver Spring, MD. 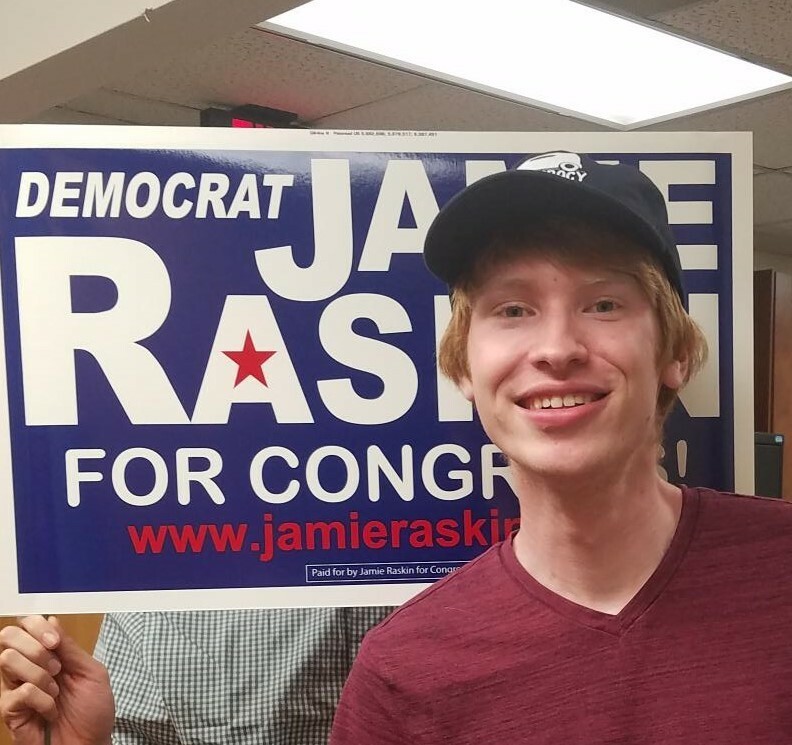 He got acquainted with Jamie when he had a chance to interview him for the C-SPAN StudentCam competition in 2017 and 2018 for his video entries on Second Amendment and First Amendment, respectively. These interactions and the current political climate spurred Dhruv's interest in politics and he hopes to use his experiences from the Democracy Summer internship to one day run for office. Dhruv is an avid debater and orator. He also volunteers with the Red Cross Summer VolunTeen program at the Walter Reed National Military Medical Center, and at the KID Museum in Bethesda, MD. Michael Riley Place has lived in Bethesda, Maryland, for most of his life, except for a few years in Invercargill, New Zealand. Riley will study the environment, politics, philosophy, and economics at the University of Richmond as an incoming Freshman next year. Riley is especially interested in environmental policy, especially the power of carbon pricing in addressing climate change, and in gun control. At various points in his life, Riley had lived in Al Capone’s apartment building, with Colombian supermodels, and with a Maori tribe. Andrew Prince is a rising second-year at the University of Virginia studying Economics and Sociology. From Vienna, Virginia, he has previously worked as an organizing fellow for the 2016 and 2017 Democratic Coordinated Campaigns in support of Hillary Clinton and Ralph Northam, respectively. Andrew currently serves as the Treasurer of the University Democrats at UVA and ultimately hopes to pursue a career in education policy. In his free time, he enjoys watching baseball and going to concerts in D.C.
Christian Robles is a rising senior at the School Without Walls. He is a lifelong Washingtonian who plans to study political science and international relations in college. He is passionate about urban development, immigration, and criminal justice. In his free time, you can find Christian reading about today's latest political news, itching to practice public speaking skills, or procrastinating on his work. 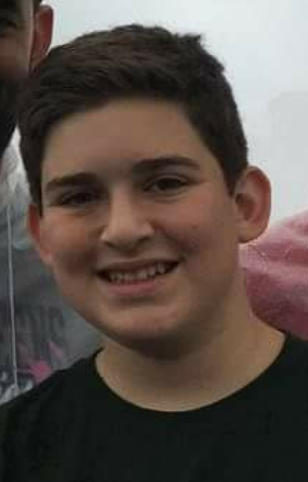 Jonathan Rotman is a rising junior at Walter Johnson High School in Bethesda, Maryland. He is originally from Israel but has lived in Rockville, MD for 12 years. 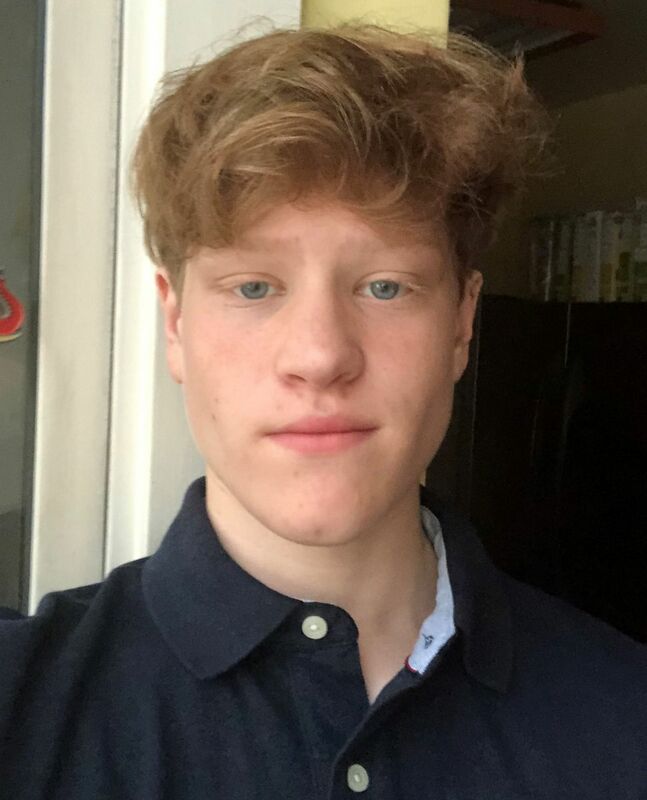 He has been interested in history and government since Fifth Grade and aspires to be an organizer for gun control advocacy. In his free time, Jonathan enjoys reading, playing guitar and talking to his cat. Devi is from Ashburn, Virginia. She is a rising sophomore at the University of Pittsburgh. 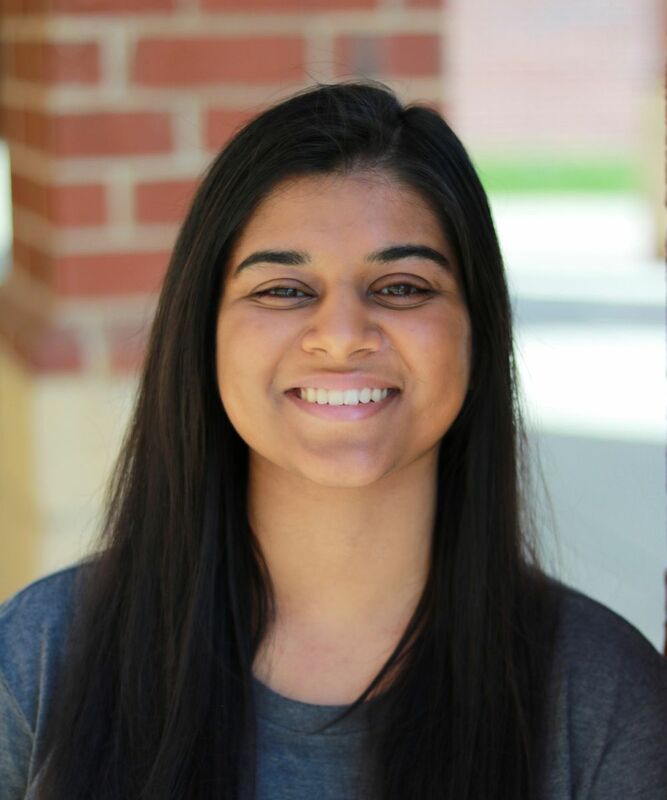 Devi is majoring in political science with a minor in psychology on the pre-law track. In her free time, she is is involved in theater, Girl Up, and It’s On Us on campus. Lena Ruther lives in Takoma Park, Maryland. She is a rising junior at Montgomery Blair High School. 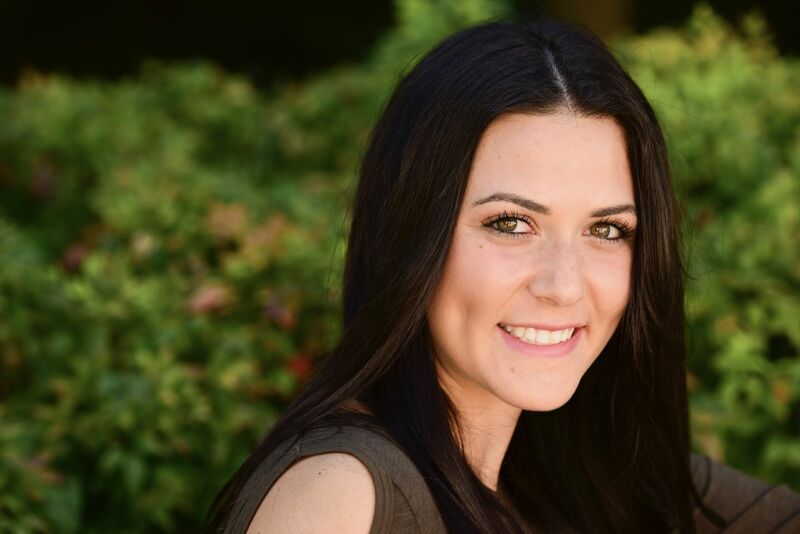 Lena is passionate about grassroots activism and taking advantage of all the opportunities that she has been given. She enjoys acting in her local theater company as well as her school’s theater program. 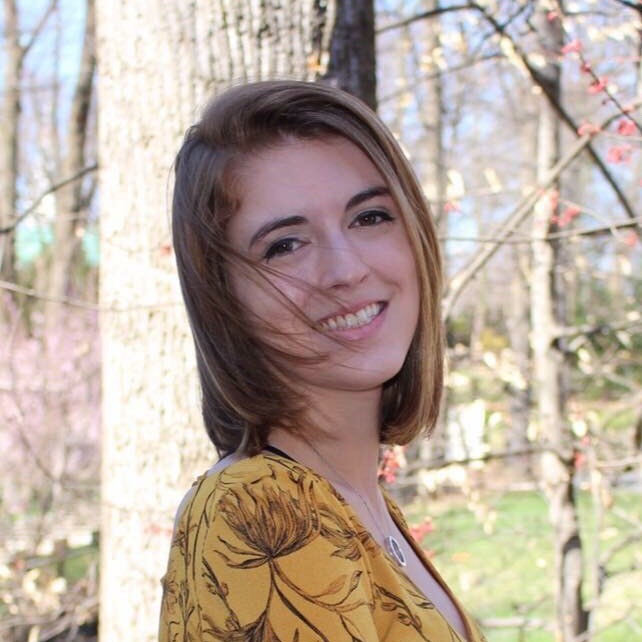 Rebecca graduated last year from Bethesda Chevy Chase HS and is currently a prospective English and Dance double major at Amherst College. Rebecca is an intersectional feminist who cares deeply about progressive issues, particularly those relating to Reproductive Justice. 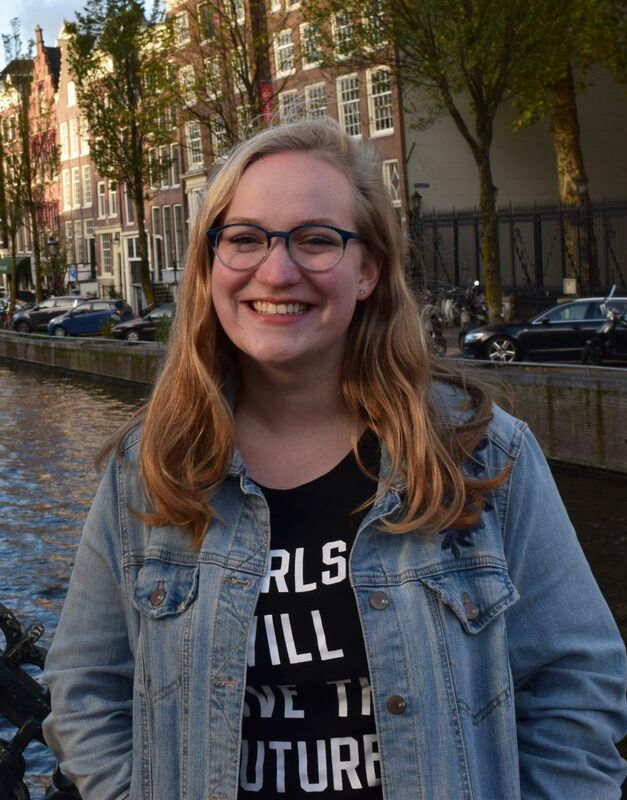 Caroline Soffer is a current student at Bryn Mawr College in Pennsylvania, where she majors in Political Science and studies American political behavior. She is a passionate advocate for voting rights and gun control. In addition to her political activism, she loves writing short stories and has folded over 1,000 origami paper cranes. Abby Strauss is a rising junior at the University of Vermont studying political science and middle eastern studies. She is passionate about protecting a woman's right to choose, expanding voting rights, criminal justice reform and ending the Trump administration. 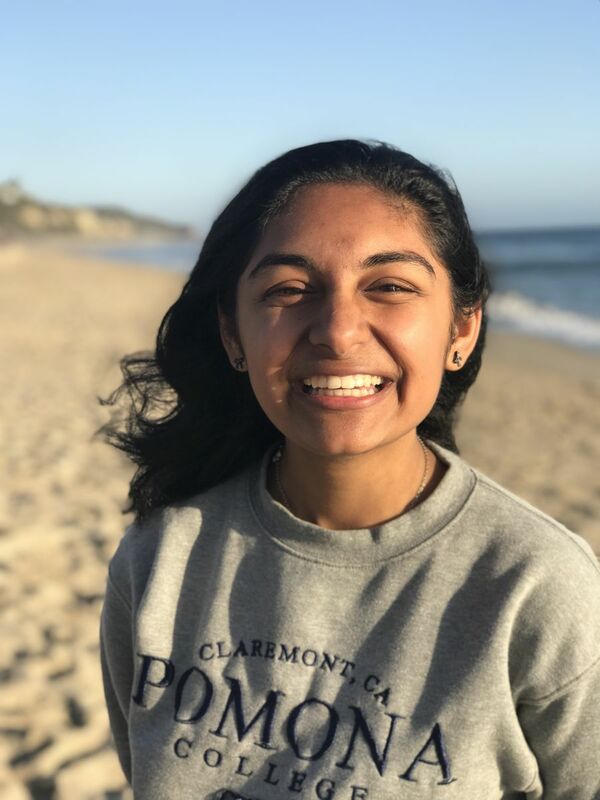 She grew up in Washington, D.C.
Gabriela is a rising senior at John F Kennedy High School who is passionate about promoting equality in America. Being a first-generation immigrant herself, she is also passionate about fighting for policies that affect her community directly. During her free time, she tutors kids and spends time with friends and family. Ben Tutt is a resident of Bethesda, Maryland where he recently graduated Walt Whitman High School. He will be attending the University of Oxford in the fall, where he will be studying Politics, Philosophy, and Economics. In his free time, he enjoys reading and competitive debate. Suzanna - Neely - Yates grew up in New York City and currently lives in Austin, Texas. 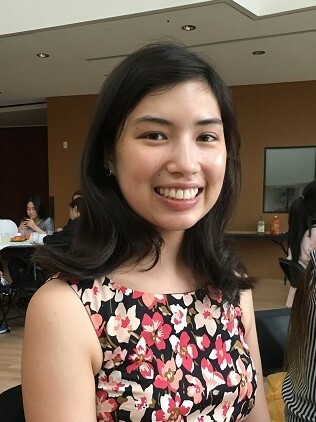 She is a First-Year student at Pitzer College in California, double majoring in International Relations and Computer Science. In her free time, she enjoys crafting creative campaign slogans, writing poetry and reading. She is deeply influenced by John Lewis and is excited to be a part of the blue wave.